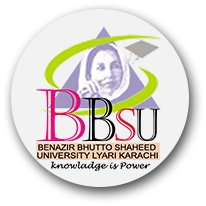 Benazir Bhutto Shaheed University Karachi Admission 2019 open and students who wants to get admission here, they get complete detail online free from here. The university was established on the instruction of her husband Mr. Asif Ali Zardari, who served as the Prime minister of Pakistan after his wife’s assassination. The university was established in 2010. It is a Public Degree Awarding Institution. You get complete detail about this university from here. The purpose of establishing this institution is to enliven the dream of BENAZIR BHUTTO to educate young residents of Lyari, (unprivileged) zone of Karachi. Purpose of establishing BBS University is to encourage willing & intelligent to work youth especially female students, by providing them education along with monthly stipend and free ships. Present-day amenities like Gymnasium, Library, Mosque, Canteen, Auditorium, Computer Labs, Courtyard, etc. will be soon available for the enrolled students. SBBU offers admissions in different fields of study for Bachelor and Master Programs. BS(HONS) Economics Inter with Science, Commerce or Arts Subjects with Minimum 45% marks from any BISE. Masters in Commerce (M. Com) B. Com with minimum 45% Marks. Masters in English (MA English) Graduate Pass in 2010 and onward with minimum 45% marks. B. Ed (HONS) Associate Degree In Education ADE with Minimum 50% marks from HEC recognized Institute or University. 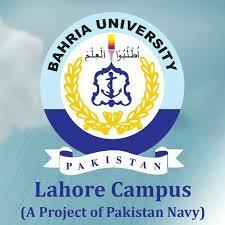 BCS (HONS) Computer Science FSc (pre-Engineering) or equivalent with minimum 50% Marks from any BISE. BBA (HONS) Bachelor Business Administration Inter with Science Subjects or Equivalent with Minimum 50% marks from any BISE. BS (HONS) Commerce Inter with Science, Commerce or Arts Subjects with Minimum 45% marks from any BISE. Form can also be downloading by the University Officials web site and in that case you have to send by attach the Bank Draft of Rs. 600/-.in favor of Benazir Bhutto Shaheed University Karachi. Benazir Bhutto Shaheed University Karachi is a famous university of Pakistan which gives all type of facilities to its all students. The University is looking forward towards those candidates who are self motivated and confident and know the value of education for their future. If you have wish to get admission here, then you should apply on time.